Home » Tenants » Community Blood Centers of Florida, Inc.
Community Blood Centers of Florida, Inc.
Mail Boxes Etc., Inc. (MBE), a UPS company, is the world’s largest franchisor of retail shipping, postal, printing and business service centers. The UPS Store® and Mail Boxes Etc.® together comprise approximately 4,800 independently owned locations in the U.S., Puerto Rico and Canada, providing convenient and value-added business services to the small-office/home-office (SOHO) market, corporate "road warriors," and consumers. Community Blood Centers of Florida, Inc, (CBCF) is a non-profit all voluntary blood collection agency. Each year, CBCF collects over 250,000 pints of blood and blood products for hospital and kidney dialysis patients. CBCF serves Southeast and Central Florida. The Blood Center operates 15 donor centers which are conveniently located throughout South Florida in Monroe, Miami-Dade, Broward, and Palm Beach counties. In addition, 50 bloodmobiles travel throughout Southeast and Central Florida on a scheduled basis visiting businesses, places of worship, government agencies and schools. If you would like to arrange for a bloodmobile to visit your organization, please contact our Donor Resources department at (954) 777-2626 in Broward; (305) 398-0400 in Miami-Dade;(800) 504-5550 in Palm Beach; (888) 677-3988 in the Greater Orlando area; or toll-free at (888) 454-2362 or (800)-879-5020. Community Blood Centers of Florida operates its fully bi-lingual blood center, El Banco de Sangre, in Miami which houses recruitment, administrative and warehouse personnel, operates two laboratories, and has its own Hospital Services department. CBCF is a member of the American Association of Blood Banks (AABB), America's Blood Centers (ABC), the American Society for Histocompatibility and Immunogenetics (ASHI) and the Florida Association of Blood Banks (FABB). 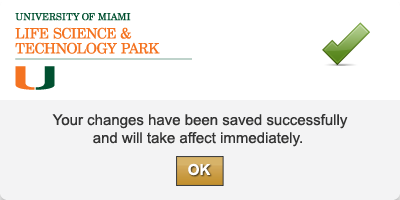 It is also licensed by the Food and Drug Administration (FDA), and the state of Florida. In addition, CBCSF is a donor center for the National Marrow Donor Program (NMDP). 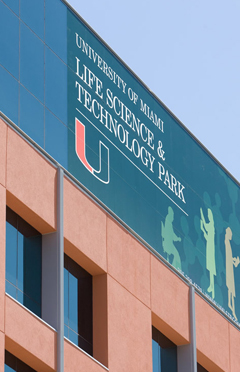 Established in 1970, the University of Miami Tissue Bank (UMTB) is the oldest academic institution of its kind in the United States. UMTB came about and evolved in an effort to provide safe and effective bone and soft tissue grafts to patients long before allograft bone transplantation was widely accepted. UMTB has always been focused on safety and the advancement of knowledge in allograft use. More scientific peer-reviewed articles, book chapters and innovations have come from UMTB either directly or indirectly than from any other organization of its kind. UMTB continues to be a leader in transplantation research and has maintained an impeccable safety record.